The health benefits of omega oil are well established. The chemical structure of these oils is connected with their beneficial role in the diet, but also makes them susceptible to de-activation via oxidation. When oxidation occurs, these oils are not only inactive from a health perspective, but also become noticeably rancid. At AnaBio, we welcome the opportunity to serve your micro-encapsulation needs by using our novel, unique microencapsulation process, EnCaptOla™ technology suitable for the protection and stabilisation of omega oils in a range of products. Dietary intake of omega oils is suboptimal in many countries and general populations are deficient in these nutrients. For this reason, enrichment of foods with omegas can allow consumers achieve sufficient levels of omega oil intake. Direct enrichment can be difficult due to oil oxidation, and production methods are continually being researched in order to find ways to minimise oil spoilage. EnCaptOla™ technology has proven benefits for the manufacture and consumer alike since it acts as a cocoon of protection to avoid omega oils ingredients becoming rancid becoming smelly. AnaBio has successfully micro-encapsulated >20 different active oil containing compounds. AnaBio is experienced in handling oil-based products, from concept to commercialisation involving validation, pilot scale-up and commercial manufacture of finished ingredients in an economical and cost-efficient manner. Our research and manufacturing team has a proven track record of producing high quality results for bespoke commercial applications. 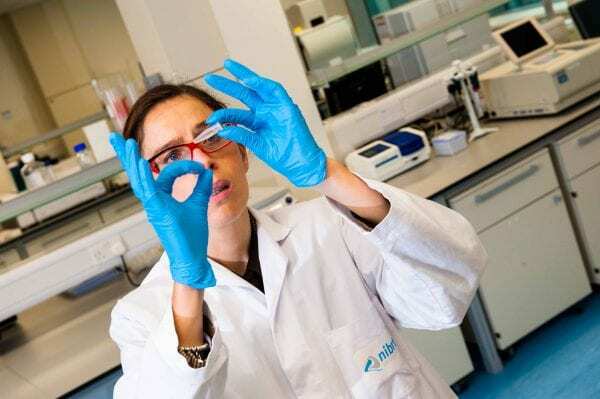 Even though we focus on manufacturing of bespoke oil-loaded micro-capsules, we have a fully functional Centre of Excellence and research laboratory to initiate the concept to commercialisation process. Using many creative micro-encapsulation techniques, we provide high quality micro-capsule production and research consultation services for a wide variety of customer needs. What are Fish and Algae Omega Oils? Eicosapentaenoic acid (EPA): An omega-3 fatty acid, EPA helps the body synthesize chemicals involved in blood clotting and inflammation (prostaglandin-3, thromboxane-2, and leukotriene-5). Fish obtain EPA from the algae they eat. Docosahexaenoic acid (DHA): In humans, this omega-3 fatty acid plays a structural role in membranes of the central nervous system and is a key part of the cerebral cortex in the brain. It also plays a key role in the retina of the eye and has a structural role in the sperm cell. Arachidonic acid (ARA): An omega-6 fatty acid, plays a vital role in development of brain function, protection and synthesis of brain tissues and the infant nervous system. Micro-encapsulation – what is it? 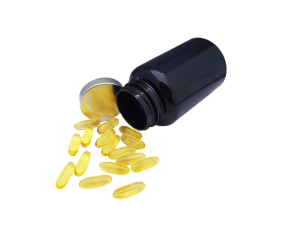 Micro-encapsulation is a novel, innovative, natural method that can be used to protect omega oils from the stresses of the world, specifically associated with oxygen, production, and storage stress. Microencapsulation is a technique where an active ingredient is protected inside a shell material, similar to a tablet but at an microscopic scale. Microencapsulation has a long association in the food industry, often used to stabilise high value ingredients such as omega oils. Emulsification Optimisation of high Omega Oil in AnaBio matrix. AnaBio has generated “platform” technologies that with a proven track-record for broad spectrum market introduction of commercially viable, value-added encapsulation systems. This allows AnaBio clients to penetrate value-added niche markets in an economical cost-efficient manner. What is the current industry trend? Omega oils (and seed oils containing valuable nutrients) are in huge demand on the current global market for addition to powdered and liquid product formulations – however, omegas have major stability issues in powders and liquids formats – this is a problem that the industry need to resolve. In infant nutrition, the thermal processing associated with powdered infant formula production and reconstitution, makes omega oils more susceptible to oxidation and represent a major roadblock for manufacturers and product developers alike. In summary, all these problems need to be resolved to address the dietary deficiency of omega oil consumption in cultures across the globe. What are the problems that need to be solved? Odour and taste of omega oils is not attractive due to rancidity of oils. How does EnCaptOla™ technology work? EnCaptOla™ micro-capsules are natural clean label, patent-protected, natural, vegan friendly ingredients, produced with high efficiency and production precision to ensure oil stability and regulatory compliance. EnCaptOla™ is a platform for protection and stabilisation of omega oils from various sources including fish, algae and seeds. This micro-encapsulation technology has proven benefits for the manufacture and consumer alike EnCaptOla™ have is a solid barrier to the outside world to protect oils against oxygen and avoid oil ingredients going rancid / becoming smelly. What does EnCaptOla™ protect against ? What ingredient benefits does EnCaptOla™ provide for the end customer ? AnaBio enhances existing products or develops new products for food, feed and pharmaceutical industries with proven claims for improved health and well-being for their target market.